There are many ways to Upgrade a laptop HDD to a Solid State Drive (SSD), this is one of them. For this tutorial I’ll be using a USB to 2.5″ SATA cable to plug the SSD via USB to the laptop. Upgrading a Laptop to a solid state drive (SSD) is extremely simple the hardest part would be installing the new hard drive. 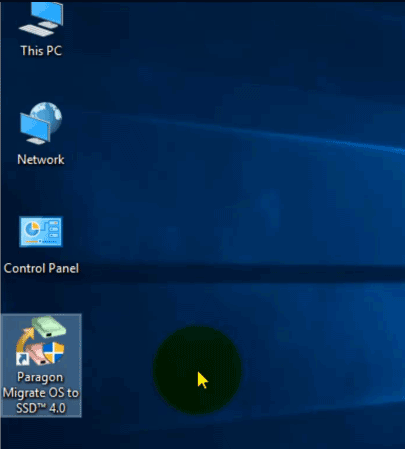 Copying Windows to a new (SSD) will eventually save a lot of time, you don’t have to install all individual programs and configure settings from scratch. 0. Plug the SSD to the laptop via USB using a USB to 2.5″ SATA cable. 1. 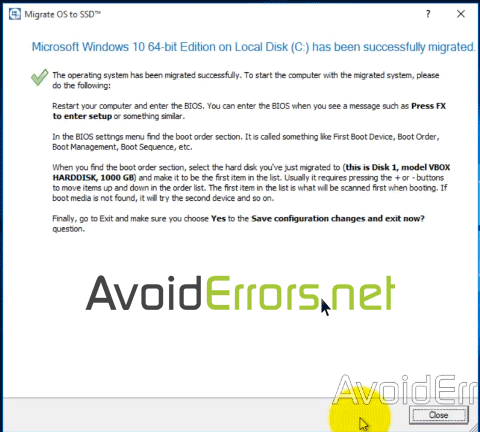 Install the new SSD hard drive via USB to your computer and make sure is installed properly. 3. 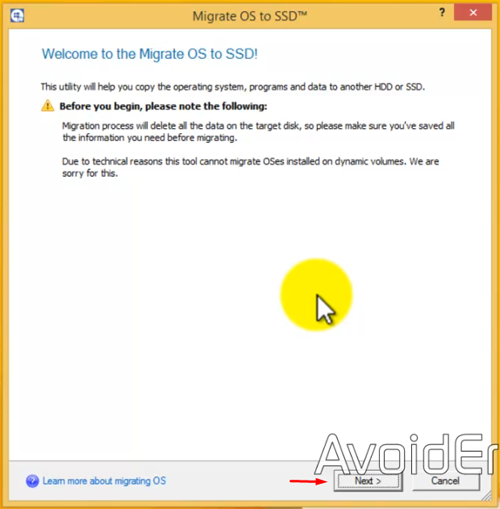 Once installed, run Paragon Migrate OS to SSD, click yes to the UAC if prompted. 4. Read the welcome screen and click next. 5. The Wizard will auto detect the installed drives. It will show you that is going to copy your Local Disk C: To: the new hard drive you have installed which in this case is Disk 1. 6. Check mark Use all available space for the OS partition. 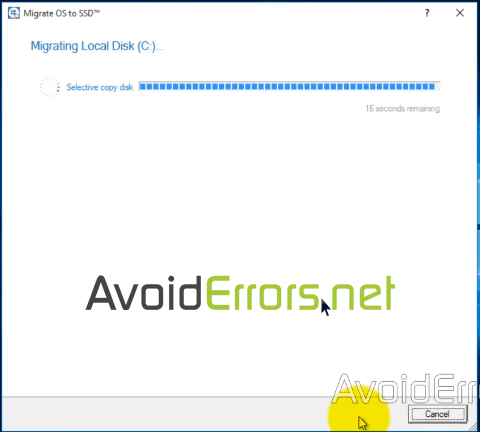 If you leave it unchecked a partition will be created on the destination drive. 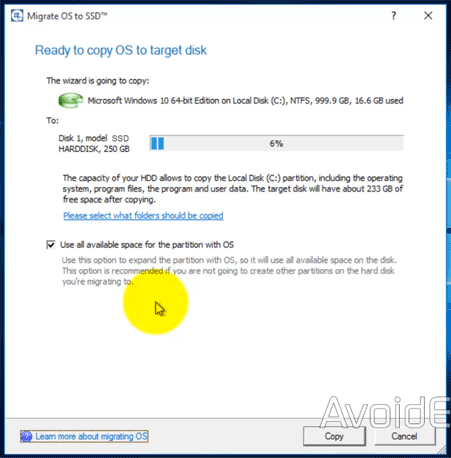 If you don’t know about partitions then is recommended to check mark that option. Click on Copy button. 8. Once done, you’ll provide a brief explanation in case you are keeping both drives. In my case I’m only keeping the new hard drive so all we have to do is just turn off the computer, remove the source disk, and keep the new hard drive which is the destination Drive and turn the computer back on.